The President’s Establishment consists of a team of civil servants and personal appointees of the President. 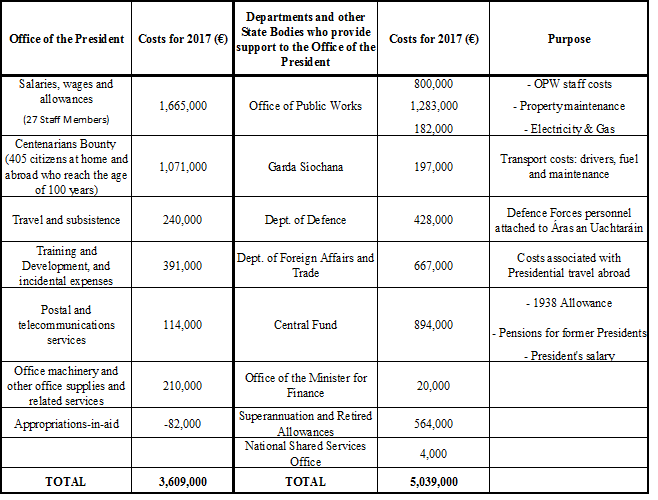 Áras an Uachtaráin and the Office of the President are supported by a number of Government Departments and State Agencies. With staff based at Áras an Uachtaráin, the OPW, the Defence Forces and An Garda Siochána also support the work of the President. Further details are available on the website of the Comptroller and Auditor General.